Winter is winding down, and the temps are heading up! It’s a perfect time to get your 5K on! 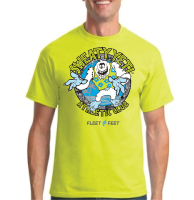 Join us for the Sweaty Yeti Virtual 5K and earn some Yeti bling! It’s a super way to participate in a YellowJacket Racing event from home! When finished submit your time, you earned your Sweaty Yeti medal! Flash your Yeti bling and be the envy of your friends and family! And then don’t wait, register for your next race! If you prefer a group run you can join us at the Sweaty Yeti Fun Run on Sunday, March 10 at noon! ALL WELCOME whether in Virtual Race or Not. We’ll gather there as a group and follow a set route. When we’re done we’ll show off our Sweaty Yeti bling, and relax and enjoy drink and food specials at the Exchange! Friends and family are all welcome to join and celebrate with you! Doors will open at 11am. RACE MEDALS will be mailed on March 7, 2019. When registering, mailing address must be a street address and not a Post Office Box for proper delivery. Download and print your bib here. Medals (and any additionally purchased apparel) will be mailed on March 7. Please make sure that you provide a physical address (NOT a PO Box) for shipping purposes. 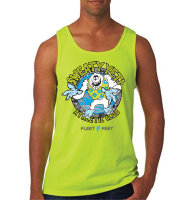 Or, if you prefer, you can join us at the Sweaty Yeti Fun Run on Sunday, March 10 at noon!